Daniel Pepperell from Music Theatre New Zealand has the lowdown on some useful free apps for theatre companies. Mail Chimp is a user-friendly email newsletter. It allows you to drag and drop images to create very good looking electronic direct mail. You receive data on which recipients click on items, to tailor content for future newsletters. It is free for up to 10,000 sends per month, which is way more than an amateur theatre would need. It is very easy to become an expert. Mail Chimp also has a free plug in to your Facebook page, allowing users to sign up for newsletters. There are also plug ins for membership – which can automatically delete expired members from newsletter lists. Google Forms is a platform to create questionnaires in one easy spreadsheet. You can create audition forms or feedback forms. It is often used for health and safety checks. The sky is the limit. A local lighting hire company uses the mobile app to submit reports in the field. The reports are automatically recorded and kept in one spreadsheet. Google Forms is between easy and medium to learn. Users are best to choose a template. Simply Book me is an appointment scheduler that will automate your whole audition booking time, taking the stress off one person who normally takes the information. You then have this information typed, to collate addresses, emails names, etc. It provides really good visual graphs on age ranges, hair colours, heights, sexes, roles etc. Free for up to 50 people before you pay a small fee. The app can also give auditionees a reminder text. You decide when the prompt goes out. It has a medium level of difficulty to learn and is not very user friendly. Needs practise before you launch it. 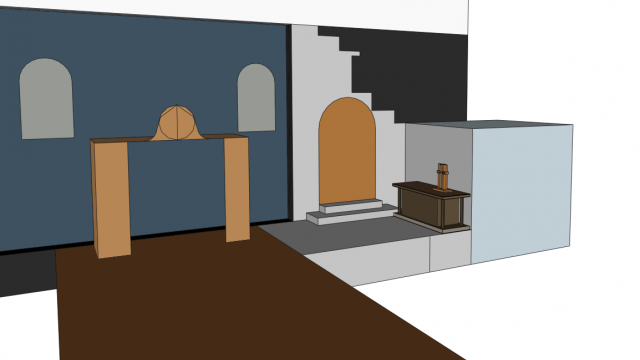 Sketch up is a 3 D modelling software, good for set design, that is used by both professionals and beginners. Another good free tool, but some computer experience will be needed. 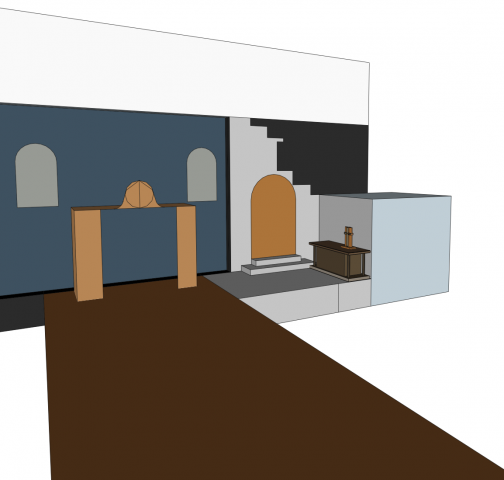 It enables you to build 3D sets, or 2D floor plans, play with space, and incorporates your proscenium arch and wing space. It allows printing of PDF’s from any angle. Medium to hard to use. Google Drive is a cloud storage system very much like Drop Box but way more user friendly. We use it for shared budgets. Everyone has access to it and can edit it live no matter where they are across the country. It is cheaper than Drop Box as you get 10 gigs free per user and you can drop in data from other google apps such as google forms. Heads of department can manage their own budgets and production managers can keep an eye on it. Easy to use. Article originally published in tnhe September / October 2017 edition of Stage Whispers.